Storing documents and files can take up valuable office space, therefore Belper Self Storage provides the ideal solution to either small or large businesses looking to maximise their space. Belper Self Storage offer indoor, clean and dry purpose-built steel rooms of various sizes. The site is completely secure with CCTV cameras and Redcare protection. Confidentiality is guaranteed, as you lock your own room and keep the key. 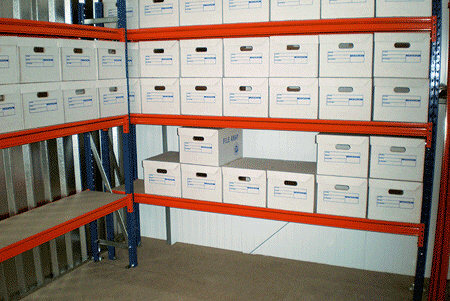 Racking, archive boxes, packaging materials and padlocks are available to purchase or hire. Access to the storage facilities is unlimited during business hours, we provide long term or temporary storage for your convenience with no hidden extras, just low cost and affordable.